The Chevrolet Silverado 1500 is the smoothest-riding, most carlike of the full-size, light-duty pickups, and it boasts a wide range of configurations, powertrains and trim. The current-generation Silverado was introduced as a 2014 model, which brought better fuel economy, nicer interiors, and the latest technology. 2015 and 2016 models brought minor updates, highlighted by slightly revised styling for 2016. 2016 Silverado 1500 models have one headlight on each side in place of the pair of stacked headlights on 2014-2015 models. The 2016 Chevrolet Silverado 1500 also gets distinctive new grille designs for each trim level, a more sculpted hood, new LED parking lights, and new headlights (HIDs with LED signature on WT, LS, LT; LEDs with LED signature on LTZ and High Country). An 8-speed automatic transmission is available for more models than previously, including the 2016 Silverado High Country and LTZ with the 5.3-liter engine. Chevrolet MyLink offers improved performance plus Apple CarPlay capability for 2016, with 8-inch touchscreens on upper models, 7-inch touchscreens standard. 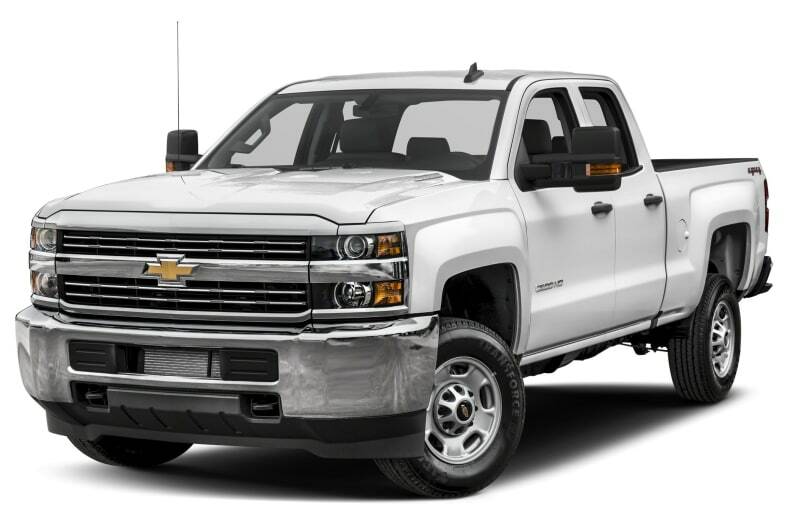 New features available on 2016 Silverado 1500 models include a remote locking tailgate, power-articulating assist steps, Android Auto capability, wireless phone charging, high-beam assist, and Lane Keep Assist. Silverado 1500 competes with Ram 1500, Ford F-150, Toyota Tundra, Nissan Titan, and GMC Sierra 1500. Silverado and Sierra differ mainly in appearance and trim. Silverado looks sportier and more adventurous, Sierra looks classier and more conservative. With their large engines and steel bodies and structure, the GM pickups are more traditional than the Ford F-150, built with extensive use of aluminum and small, turbo engines. The Silverado boasts a refined, comfortable interior, boatloads of technology, and the aforementioned smooth ride. Its boxy styling complements that of the 2500 HD versions. Three engines, called EcoTec3, are available: The 4.3-liter V6 is rated at 285 horsepower and 305 pound-feet of torque and comes with a 6-speed automatic. The 5.3-liter V8 is rated 355 hp and 383 lb-ft of torque, with a 6-speed automatic standard and an 8-speed automatic on upper models. The 6.2-liter V8 is rated 420 hp, 460 lb-ft of torque, and comes with the 8-speed. Though traditional in size, these engines are all-aluminum, with the latest in direct injection and variable valve timing. The 8-speed features a wider ratio spread than that of the 6-speed: The 8-speed has a numerically higher first gear to help when starting off with a trailer or a heavy load, and it has a numerically lower rear axle ratios, which reduce engine rpm at highway speeds. EPA-estimated fuel economy doesn't improve, but being able to go lower and higher, with more choices in between, is theoretically better in the real world. Best fuel economy is the 4.3-liter V6 with an EPA-rated 18/24 mpg City/Highway. The 5.3-liter V8 is rated 16/23 mpg with the 6-speed automatic, 16/22 with the 8 speed. The 6.2-liter rates 15/21 mpg.